Anitra is a seasoned professional with extensive legal, corporate and charitable organization experience. After law school she worked as a law clerk for the Regional Bankruptcy Center of Southeastern Pennsylvania. At the Regional Bankruptcy Center she spent several years developing her expertise in mortgages, predatory lending, as well as business and consumer bankruptcy law. 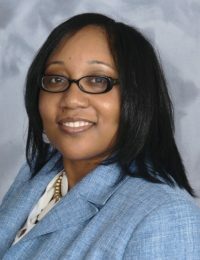 Anitra’s corporate experience includes her work with the Center for Community Non-Profit Organizations in Philadelphia. She counseled clients on funding alternatives for their non-profit businesses, tax exempt status and organizational structure. In addition, Anitra drafted articles of incorporation, bylaws and 501(c)(3) applications. A compassionate advocate, Anitra is dedicated to pro bono service. She is a member of the D.C. Volunteer Lawyers Project and has represented bankrupcy clients in the District of Columbia through the D.C. Bar Pro Bono Bankruptcy Clinic. Anitra is a Northern California native and resides in Montgomery County, MD. 7 years since Anitra Ash-Shakoor was first licensed to practice law.